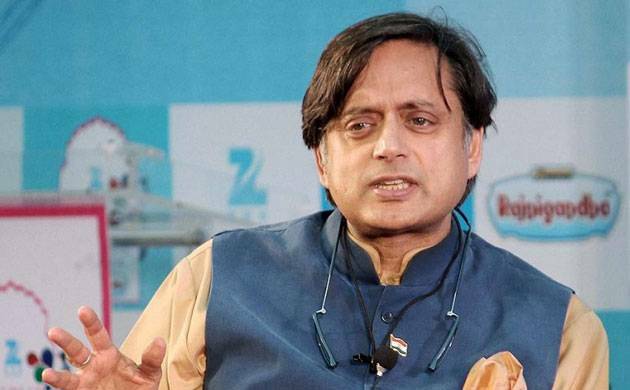 The BJP's projection of Swami Vivekananda as a "Hindutva icon" is "ill-founded", Congress leader Shashi Tharoor on Friday said. Vivekananda's view of Hinduism was that of acceptance towards other faiths, contrary to what is being practised by members of the ruling party, Tharoor asserted, as he spoke at the formal launch of his latest book 'Why I am a Hindu'. "I have read the original text and I can tell you what he believes and what he stands for. When these people highlight sentences like 'arise, awake and stand up', and say things like 'be proud to be a Hindu', what was it that he (Vivekananda) wanted us to take pride in? He wanted us to take pride in precisely this: The acceptance of other faiths," Tharoor said. Quoting Vivekananda, Tharoor said some people in the name of Hinduism are citing him (Vivekananda) while "lighting the fires of inquisition". He said that Vivekananda had remarked that "a Hindu may throw himself on the pyre but he will not light the flames of inquisition". "Exactly the opposite of what is going on today where people in the name of Hinduism are blasphemously citing Vivekananda and indeed trying to light the fires of inquisition," the author-politician said. Replying to a question if Prime Minister Narendra Modi and BJP leaders were seeing Vivekananda as a "Hindutva, nationalist" icon, Tharoor said, in a lighter vein, that the difference between them and him was that he had actually read Vivekananda. "So anyone who has actually read Vivekananda cannot put him on the side of bigots, the chauvinists, and the people who are frankly giving Hinduism a bad name these days," he said. Tharoor was joined by former Jammu and Kashmir governor and Congress leader Karan Singh at the event.